Decorative window films give you the opportunity to enhance privacy or improve design with different opacities and patterns to perfect the look you are going for. 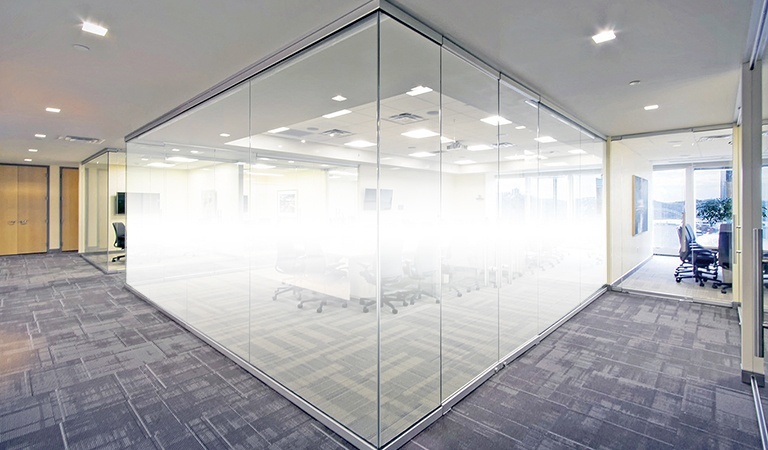 An opaque film that gives a classy and elegant look when installed. This film will allow people to make out shapes without completely being able to see in or out. Prevents 99% of UVA/UVB rays as well as reduces heat and glare. An opaque film that gives a classy and elegant look when installed. This film will prevent people from being able to see in or out. Prevents 99% of UVA/UVB rays as well as reduces heat and glare. An opaque film that offers complete privacy and does not give the ability to see in or out when installed. This film will prevents 99% of UVA/UVB rays and significantly helps with heat that enters a space. An opaque film that gives a modern look when installed. Film is completely white and will prevent people from being able to see in or out. This film prevents 99% UVA/UVB rays and will help with heat reduction as well.